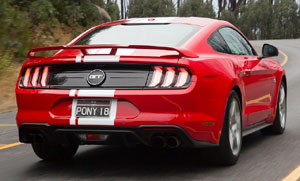 The FN Ford Mustang was released in Australia in June 2018 replacing the successful FM model. 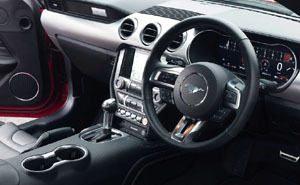 The model is characterised by a softer front end treatment and improved V8 engine, the four-cylinder engine being removed from the range. 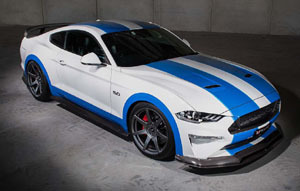 GT, 5.0L V8, Fastback, 339kW@7000rpm, 556Nm@4600rpm. 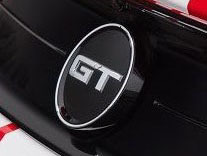 $A62,990. 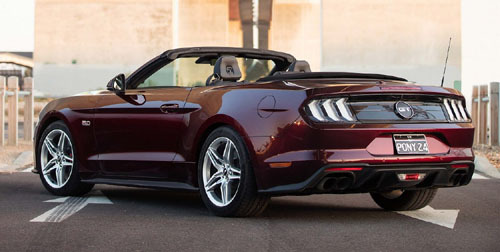 GT, 5.0L V8, Convertible, 339kW, 556Nm. 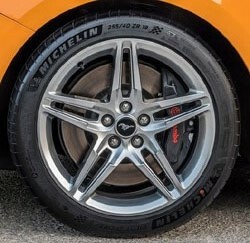 $A74,709. 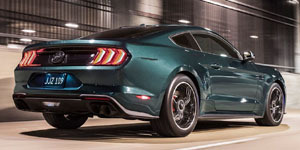 BULLITT, 5.0L V8, Fastback, 345kW, 556Nm. $A73,688. 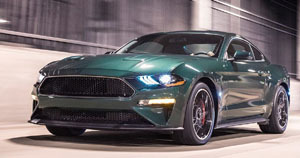 50th anniversary edition Mustang BULLITT was a limited model commemorating 50 years since the Bullitt movie which starred the 1968 Mustang and one of the best cinematic car chases. 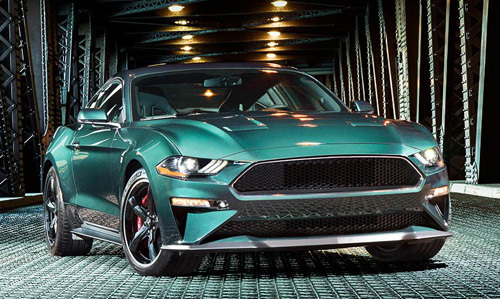 Features included 19" Torq thrust-style alloy wheels, Dark Highland Green exterior paint, chrome window surround, red Brembo brakes, chrome grille sound and Bullitt badging. Released October 2018. 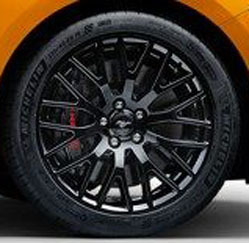 Uprated engine, 20 inch Tickford wheels (silver, black or bronze), 25mm lowered suspension, side stripe. 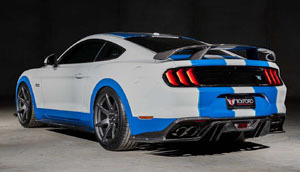 Option 3 package price $A8,990. 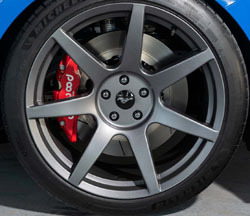 XC Falcon Cobra tribute sripes, carbon fibre aero kit, Uprated engine, 20 inch seven spoke wheels, 25mm lowered suspension, uprated interior. 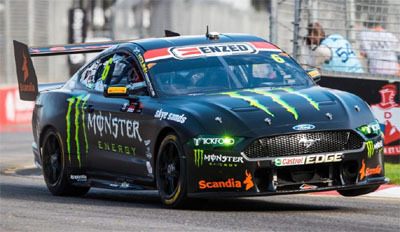 The FN was used by teams running Fords in the Supercars championship from the 2019 season replacing the FG X Ford Falcon used the previous season. 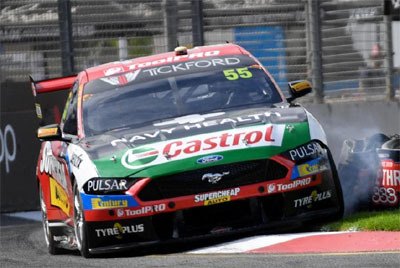 For the 2019 Supercars Championship, PRA raced four FN Ford Mustang GTs, #5 Lee Holdsworth (The Bottle-O), #6 Cameron Waters (Monster Energy), #55 Chaz Mostert (Super Cheap Auto) and #23 Will Davison (Milwaukee Tools). 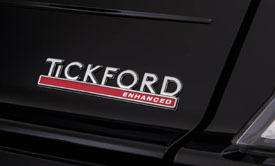 Click to go to Tickford Racing. 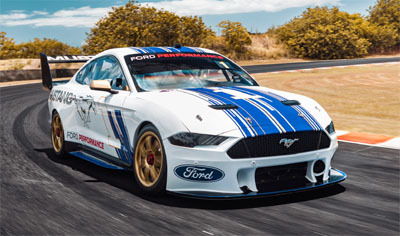 For the 2019 Supercars Championship, their first in the FN Mustang, DJR Team Penske continued with 2 racecars driven by #12 Fabian Coulthard and #17 Scott McLaughlin. 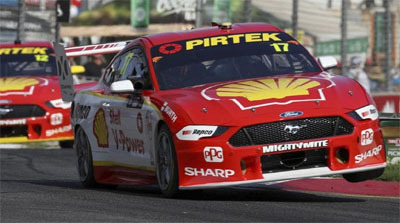 Click to go to DJR Team Penske.